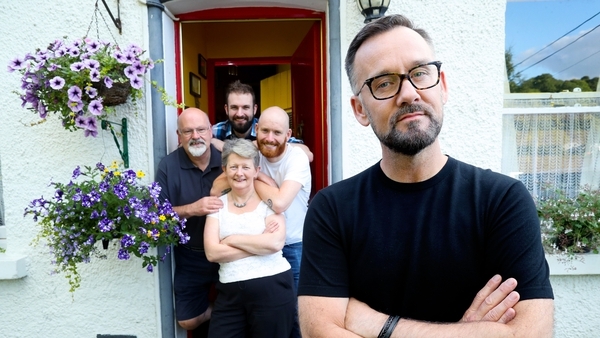 Tonight on This Crowded House, host Brendan Courtney heads to Castleknock, Co. Dublin, and Pallaskenry, Co. Limerick to meet two more adult children living at home and looking for help to move out. Ahead of tonight's episode, we caught up with This Crowded House's Shane O'Connor for some expert advice when searching for a home. You can watch the video in full above. Shane runs Eldron, Ireland’s independent agent for home-buyers and investors and he insists that buyers and renters should be using technology to their advantage. "So, for do's and don'ts of buying a house in the current market I would be telling people to use technology. Again it's 2017, we have access to Google maps, we have access to reports, we have access to reviews. Don't be afraid to have a look at them. "You can see an awful lot from a Google Map photo as to who's your neighbour, what size the garden is... Estate agents take photographs and their job is to sell the house so they want to take a wide-angle shot, they want to make the garden look bigger than it is. "But instead of wasting your time having to find that out at the viewing, [...] simply go on Google Maps, it'll take you a moment, you'll find out very quickly what size the garden is. "So, you won't be disappointed and you can maybe rule it out of your search." We also caught up with Eoin McGee, This Crowded House's Financial Planner, for some top tips on mortgages. "€35,000 is a sweet spot and what I mean by sweet spot is the rules, the criteria of the banks, change when you go over €35,000 salary. [That is] really, really good to know because if you can push your employer to give you a little bit of a payrise - super, you'll get a little bit more money." In Castleknock, we meet 32-year-old Joanna Bourke who has moved back home to her mum's house due to college fees and high rent. Now that shes got her finances in order, Joanna is eager to fly the nest again. Unfortunately, the financial planning whiz Eoin McGee has to step in to lower her high expectations. Soon, she begins to feel that house hunting feels a lot like Tinder! Down in Limerick, 26-year-old Brian Barry is looking to move out of home for the first time. In a competitive rural market where rentals are thin on the ground, Brian will be up against it as he doesn’t have any previous landlord references. Despite his protests, Brian may have to look for property outside of his hometown. Will he manage to move out and prove his independence to his girlfriend, or will he stay in his 5-star accommodation with his mother? Watch This Crowded House tonight, 7th of November, on RTÉ2 at 9:30pm.